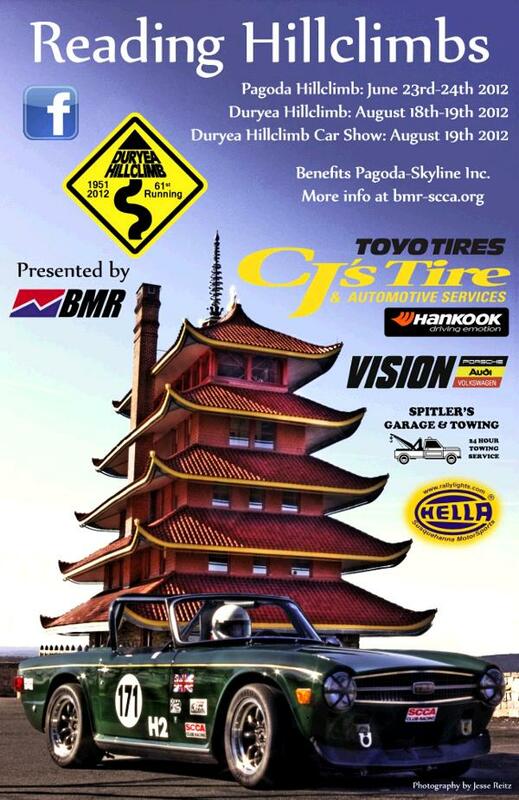 If anyone is interested, the PHA's Pagoda Hill Climb takes place this Saturday and Sunday in Reading, PA. It's a 1.3 mile course that leaves from the start of Duryea Drive and finishes just below the Pagoda. If you've never been to a hill climb, you won't be disappointed. There will be several rotary powered entries along with other beautiful marques. If anyone attends, stop by and say hi. I'll be in the #103 (#03) green '85 RX-7. They changed the course last year. Added 3 tenths of a mile and a couple more corners. We're now using the island at the Pagoda for turn around and staging. It really makes it a much better event.